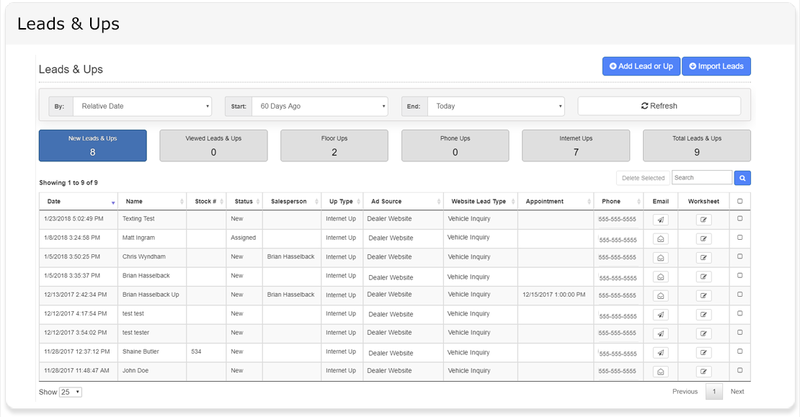 The Dealer Car Search Integrated Lead Management System automatically inserts Leads into the Lead Table from the following sources: UP Tracking System, Dealership Website, Website Texting, Website Chat, Call Tracking, and Craigslist. We can also set up your ILM System to accept properly formatted ADF Leads from any Third Party Vendor. The System then automatically assigns the Leads using our Automatic Round Robin Lead Assignment feature with available Email and Text Notification.